As we recently reported on our Boston Car Accident Lawyer Blog, the entire month of April is being using by safe driving advocates to raise awareness of the dangers of distracted driving. Recently, officials with Focus Driven have announced that they’ve teamed up with Team One to spread the message about the risk associated with this dangerous driving habit. The two have developed a number of powerful visuals. Our Boston car accident lawyers are urging you to visit Traction, the official blog of Focus Driven Advocates of cell-free driving. On this website, you can access a number of text message-relate campaign posters to share with your loved one and your community. LOL, OMG & 🙂 are the three campaign tools they’re using to illustrate that there’s nothing entertaining or funny about distracted driving and text messaging behind the wheel. According to the Insurance Institute for Highway Safety (IIHS), only drivers under the age of 18 are prohibited from using a cell phone behind the wheel. On the other hand, drivers of all ages are prohibited from text messaging behind the wheel. There’s a problem with this though. Unfortunately, officers are having a tough time differentiating texts from phone calls. 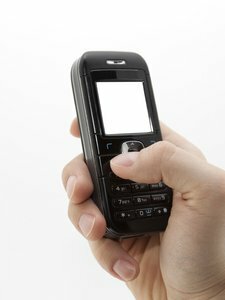 An officer isn’t always able to prove if you were dialing a phone number to call (legal) or composing a text message to send (illegal). When these laws are tough to enforce, they prove to be not very effective. In the state of Massachusetts, officers wrote about 1,700 tickets to drivers for text messaging behind the wheel in 2012. According to the Massachusetts Department of Transportation (MassDOT), that’s a number that’s up from roughly 1,150 in 2011 — the first full year the law was in effect. -Drivers who are busted text messaging or participating in other Internet-related activities will be fined $100 for their first offense. The second offense runs about $250 and $500 for the third offense. -School bus operators and other public transit drivers are also banned from using cell phones while driving. The fine for breaking this law is $500 for a first-time offense. We’re especially talking to the young drivers out there as they’re the most likely to engage in these kinds of distractions. Distracted driving is one of the top reasons why car accidents continue to be the number one cause of death for teens in Massachusetts and elsewhere around the country. Not because it’s illegal — but because it’s dangerous — we’re asking drivers to put down the phones and text messaging devices in the driver’s seat. We’re working to save lives here.